In New Mexico, a pair of competing marijuana legalization bills are advancing; meanwhile, in Old Mexico, the Supreme Court takes the country another step down the path to legalization, and more. Amy Klobuchar Joins the Democratic Pack in Supporting Legalization. 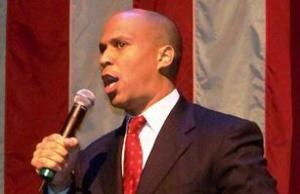 The Minnesota senator has now joined most other Democratic presidential contenders in embracing marijuana legalization. Sens. Bernie Sanders (VT), Cory Booker (NJ), Kamala Harris (CA), and Kristen Gillibrand (NY) have also come out for legalization. Klobuchar joined them with this statement last Friday: "I support the legalization of marijuana and believe that states should have the right to determine the best approach to marijuana within their borders." Iowa Poll Has State Split Down the Middle on Legalization. A new Des Moines Register Iowa poll has Iowans evenly split on legalization, with 48% in favor and 48% opposed. That's a big jump in support from the previous Iowa Poll in January 2018, when only 38% supported legalization. New Mexico Legalization Bills Advance. A legalization bill, HB 356, is headed for a House floor vote after the House Judiciary Committee approved it on a 7-3 vote Saturday. Meanwhile, another legalization bill, SB 577, passed out of the Senate Public Affairs Committee with no recommendation and must pass out of two more committees before heading for a floor vote. The Senate bill would have marijuana sold through state-run stores, while the House bill would leave it to private operators. 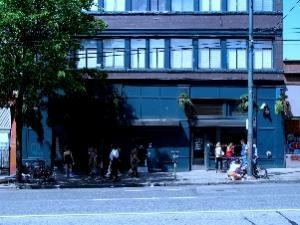 Oregon Social Consumption Bill Gets Hearing Tuesday. A bill that would legalize social consumption lounges and allow marijuana farm tours will get a hearing in the Senate Tuesday. SB 639 would bar temporary events and marijuana lounges from being within 1,000 feet of a school. The hearing will be before the Senate Committee on Business and General Government. 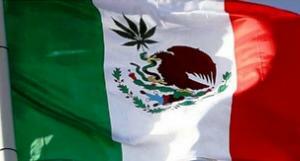 Mexico Supreme Court Injunctions Trigger Ruling Marijuana Ban is Unconstitutional. The Supreme Court last Friday published eight rulings on the recreational use of marijuana that found prohibiting the drug was unconstitutional. The move means that as of now, all Mexican federal judges must grant injunctions to people who seek to use pot recreationally allowing them to grow and possess it for personal use. The court notified the Congress on February 13 that it had approved the rulings, triggering a 90-day window for lawmakers to try to come up with a marijuana legalization law. A record number of gubernatorial candidates are endorsing marijuana legalization, Bay State pot shops will be open this month, cartels are experimenting with coca production in Central America, and more. Record Number of Governor Candidates Call for Marijuana Legalization. A new analysis from Marijuana Moment finds that at least 21 major party gubernatorial candidates support legalizing marijuana, far more than any previous election cycle. But there are differences: Some candidates make legalization a centerpiece of their campaigns, while others embrace it only reluctantly or if pressed on the issue. For a list of those pro-legalization would-be governors, click on the link. California Cities, Counties to Vote on Marijuana Taxes. More than two dozen cities and counties will have marijuana taxation proposals on their local ballots next week. Among the most controversial proposals is a San Francisco move to impose a 5% tax on gross sales receipts. That would come on top of the 15% state retail tax and the city's 8.75% sales tax, meaning pot sales would be taxed at a whopping 28.75%. The fear is the high levels of taxation will drive potential purchasers to the black market. Massachusetts Legal Marijuana Sales to Begin This Month, State Says. The chairman of the state's Cannabis Control Commission said Thursday that legal marijuana sales would get underway "within the next week or two" after final inspections of pot shops are performed. "Everything is happening as quickly as we can," Chairman Steven Hoffman said. "There are no lags. We're working closely with the licensees so they understand the process. We're getting very close." It's been two years next week since Bay State voters approved marijuana legalization. First FDA-Approved Marijuana-Based Drug Now Available by Prescription. As of Thursday, the marijuana-based drug Epidiolex is now available by prescription in all 50 states. The FDA approved the drug in June, but manufacturer GW Pharmaceuticals had to wait for the DEA to reclassify its compounds out of Schedule I before it could begin selling it. That has now happened. Epidiolex is used for treating a rare form of epilepsy and a genetic btylerain dysfunction called Dravet syndrome, both of which can cause seizures. 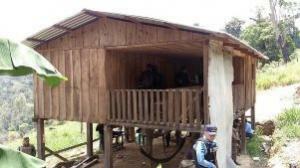 Cocaine Production Beginning to Pop Up in Central America. Cocaine production is starting to pop up in Central America, a development that could bring the supply of the drug closer to the US. Officials in Guatemala and Honduras have found at least four separate coca plantings this year and last year. Although the total acreage involved -- about 125 acres -- is a tiny fraction of total coca planting, local officials said the fields constituted pilot projects by drug cartels exploring whether they can reduce transportation costs and risk by moving their product from major cocaine-producing countries to Central America. Kansas Gubernatorial Debate Highlights Sharp Differences on Marijuana Policy. In a pre-election debate Tuesday, gubernatorial candidates Kris Kobach (R) and Laura Kelly (D) differed on marijuana policy. Kobach said he opposed both medicinal and recreational marijuana while expressing some openness to using CBD. "With medical marijuana, I don't think the time is right," he said. Kelly said she supports marijuana legalization, and especially the legalization of medical marijuana. "There are many benefits for young children with severe seizure disorders and for end-of-life use," said Kelly. "It would also be incredibly helpful in helping to reduce the opioid crisis." She also called for sentencing reform for marijuana offenses. "We are destroying our families and costing the state of fortune," said Kelly. "We need treatment options, not incarceration." Independent candidate Greg Orman also said he supported legalization. The latest polls have the race between Kelly and Kobach too close to call. New Jersey Poll Has Strong Support for Legalization. A new Rutgers Eagleton poll has support for marijuana legalization at 58% with only 37% opposed. Nearly four out of five of those supporting legalization said they viewed it as a social justice issue. The poll comes as the legislature tries to get its act together to advance marijuana legalization legislation next month. Michigan Judge Blocks Halloween Shutdown of Unlicensed Dispensaries. The same day state regulators ordered more than 200 unlicensed dispensaries to shut down by Wednesday, a Michigan judge blocked that order. Court of Claims Judge Stephen Borello granted a motion Tuesday that kills the state's latest attempt to shut down any medical marijuana dispensaries operating without a license. Borello issued a temporary injunction blocking the shutdowns and barring the state from imposing any other licensing deadlines until the court rules again. Supreme Court to Hear Indiana Asset Forfeiture Case Next Month. The US Supreme Court will hear oral arguments on November 28 on whether Indiana officials in effect imposed "excessive fines" on a man who pleaded guilty to selling heroin by seizing his vehicle, which was valued at more than the maximum fine for his offense. Cops seized a $42,000 Land Rover belonging to Tyson Timbs, which he bought with an inheritance after his father's death. The maximum fine for dealing heroin in Indiana is $10,000..
Congressional Opioid Bill Demands Hair Drug Testing for Truck Drivers. The omnibus opioid bill passed by Congress and signed into law by President Trump earlier this month calls for making progress on standards for hair drug testing of truck drivers. Drug testing of hair samples provides a much longer window to detect drug use than urine or blood tests. Hair testing was okayed in the 2015 FAST Act, but the Department of Homeland Security has so far failed to provide hair drug testing protocols. The new law requires DHS to provide guidelines and for the Substance Abuse and Mental Health Services Administration to report to Congress on progress in creating and issuing guidelines for hair drug testing. 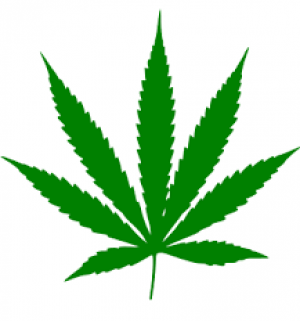 You Can Comment on How Marijuana Should Be Classified Under International Treaties. The Food and Drug Administration is accepting public comment until October 31 on how marijuana should be classified under international drug treaties. The World Health Organization will meet next month in Geneva to consider "the legitimate use, harmful use, status of national control and potential impact of international control," of marijuana and other substances, including synthetic cannabinoids and fentanyl. Illinois Democratic Legislators Plan New Legalization Bill Next Year. State Sen. Heather Sterns (D-Chicago) and state Rep. Kelly Cassidy (D-Chicago) told a Des Plaines town hall Wednesday they are planning to reintroduce a revised draft of their Cannabis Regulation and Taxation Act when the legislature reconvenes in January. Indiana Study Committee Doesn't Recommend Medical Marijuana Legalization. After hearing hours of testimony Thursday, the legislature's GOP-dominated interim study committee on public health rejected a recommendation to the full legislature that medical marijuana be legalized to treat chronic health conditions. The committee also rejected any further study of medical marijuana. But one Republican lawmaker, state Rep. Jim Lucas (R-Seymour) said he planned to file a medical marijuana bill next year anyway. "I'm going to make it my mission as a legislator, as a fellow Hoosier, to make sure that this issue moves forward," Lucas said. Ohio Democratic Gubernatorial Candidate Resorts to "Tough on Drugs" Rhetoric. Democratic gubernatorial nominee Richard Cordray is resorting to old school war on drugs rhetoric as the clock ticks down on his tight race with Republican Mike DeWine winds down. 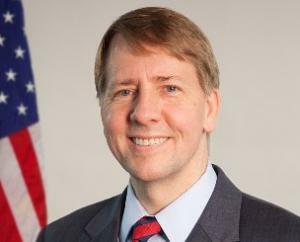 Cordray has released a new ad featuring an Ohio sheriff boasting that Cordray "has called for longer sentences for drug dealers." The ad is true: Cordray has said that, as governor, he "will work with law enforcement to make sure drug dealers are convicted and serve long prison sentences." He's still not as pro-drug war as DeWine, who also wants longer sentences for drug dealers, but who opposes the state's Issue 1 ballot initiative that would defelonize drug possession. Cordray supports that.